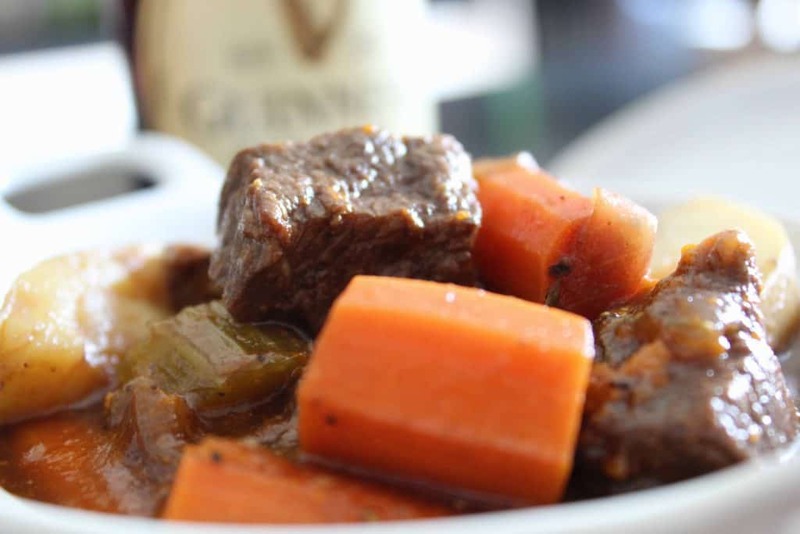 Once you know how to make a roux, the sauce and gravy-world is your oyster! Roux, pronounced “ro͞o”, a French term, is the result of combining and heating equal amounts of fat and starch. Roux is the basis of sauces and gravies. The fat content is typically butter, but other fats include oil and/or pan drippings from sauteed or roasted meats. A roux is the base of a dish or sauce; it is not a sauce on its own. 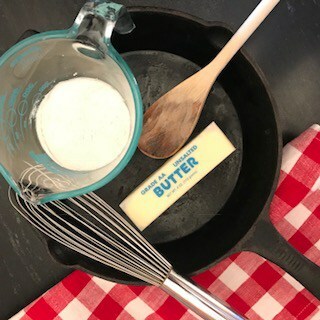 Using equal amounts of butter and flour, melt butter in a heavy-bottom skillet. Once butter has melted, sprinkle in flour, stirring continually. There are various degrees of roux: the first being a white roux, the next is blonde and the third, a dark roux. 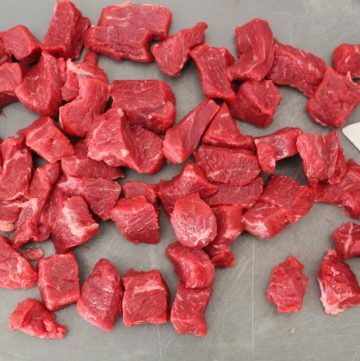 Each of these is the first step in creating a delicious sauce or gravy. 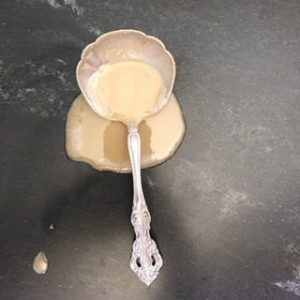 When first making roux, the white roux will be thin, then will thicken as it cooks, becoming “blonde” roux; once the roux has reached the blonde stage, the roux’s binding power begins to lessen, and the roux becomes thin again, but darker. Generally speaking, a dark roux is thinner and offers a more deep, robust flavor than white or blonde roux. 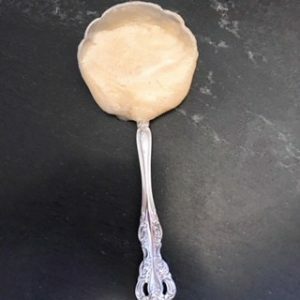 White roux is thin and used for white sauces, blonde roux is thicker than white and is used for thickening soups and stews, dark roux is the thinnest and is used primarily for adding a deep flavor to gravies and gumbos. What Sauces Can I Make from a White Roux? White roux and dairy (milk or cream) creates a Bechamel sauce, which is one of The Five Mother Sauces. This is a basic white sauce, often used in vegetable dishes, or to thicken light colored soups or stews, such as potato soup or seafood chowder. 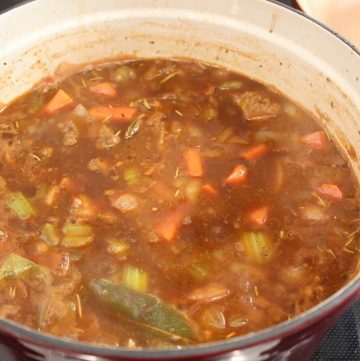 A white roux can also substitute for condensed soup in a recipe. For instance, if the recipe calls for “Cream of Celery Soup”, simply prepare the white roux and add sauteed chopped celery, salt and pepper. Same concept for “Cream of Mushroom”–add sauteed mushrooms to the white roux. When seafood stock or broth is added to a white or blonde roux, it is termed Veloute sauce which is the 2nd of The Five Mother Sauces. 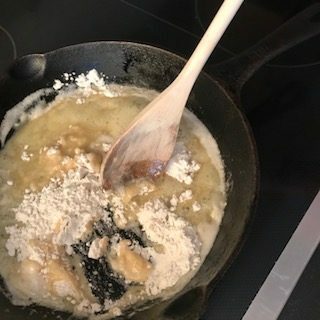 What Sauces Can I Make from a Blonde Roux? A blonde roux is a bit thicker than a white roux, so it has stronger binding properties. 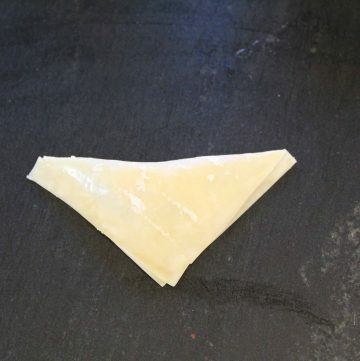 A perfect example of a blonde roux is Mornay sauce, where cheese is added to the blonde roux. If you prefer a thicker Veloute sauce, add seafood stock to a blonde roux. A popular Veloute sauce for fish is a creamy lemon-dill sauce. Blonde roux is an excellent basis for condensed “Cream of Chicken” soup; simply add a bit of chicken stock or broth to the blonde roux, allow it to cook for a few minutes, then incorporate into the dish. 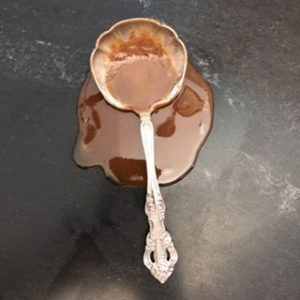 What Sauces Can I Make from a Dark Roux? Dark roux is used as the basis for Gumbo, which is French-Louisiana staple menu item, consisting of a dark broth with seafood and/or andouille sausage, onion, celery, bell pepper and okra. 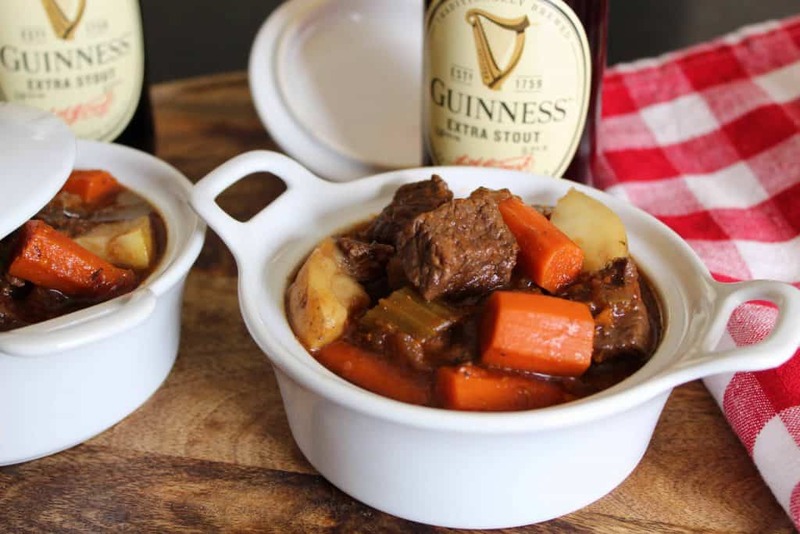 Dark roux also makes an excellent brown gravy for coq a vin, braised pot roasts or hearty Chicken Stew! 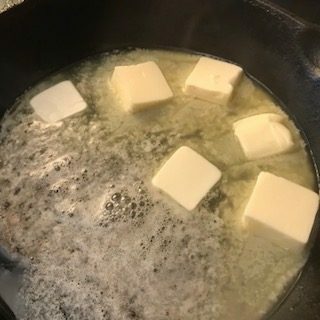 Can I Make Roux in Advance? 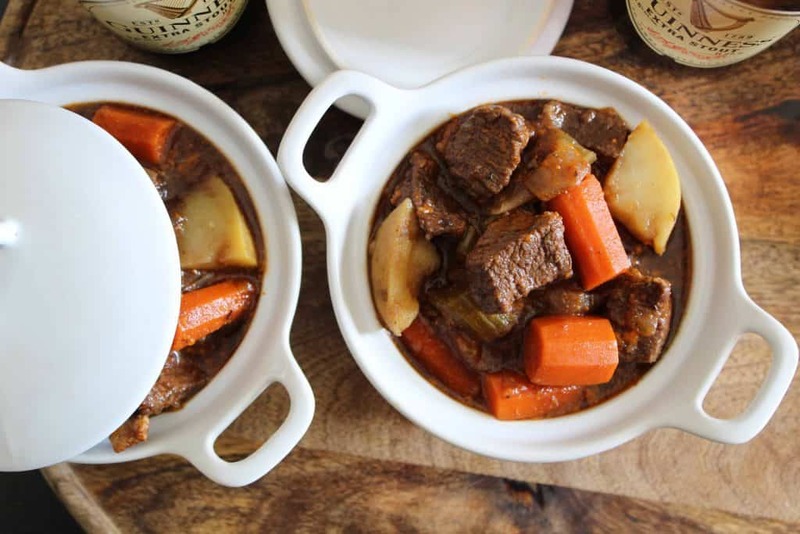 Roux can be made in advance; once cooled, divide into portions and place in a securely sealed container. Roux can be refrigerated up to one week; frozen roux can be frozen up to six months. Now that you know how to make a roux, feel free to explore the many different types of sauces, or create your own! There’s nothing better or more comforting than a big bowl of Homemade Vegetable Soup. Other than being delicious and filling, it’s the perfect food, providing a hefty dose of much needed vitamins, minerals and nutrients. 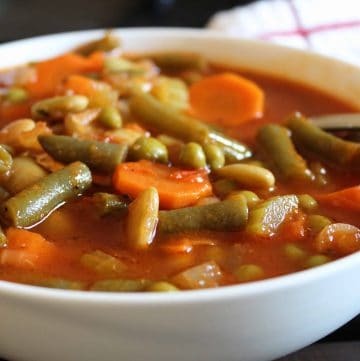 The nutritional value of homemade vegetable soup varies according to the ingredients, but generally, recipes includes a low-sodium vegetable stock, tomatoes, carrots, celery, onion, and legumes (green beans, lima beans, peas), and perhaps potatoes, pasta or grains (barley or rice). The nutritional value will change based on what vegetables are included in the soup. Homemade vegetable soup is both low-fat and low-cholesterol. One cup provides Vitamins A, C and E, calcium, fiber, iron, as well as thiamin, niacin, potassium, copper and manganese. Not only is it rich in vitamins, but it is anti-inflammatory and a low-glycemic food due to the complex carbohydrates offered through the vegetables. If every school in America included vegetable soup on their menu as a required daily item, students might be a bit healthier and more alert throughout the day. Instead, processed foods of pizza, burgers and chicken nuggets are daily staples on school menus in the United States. No wonder we have a higher incidence of onset adult diabetes, particularly in children. In France, students are given a minimum of 45 minutes to eat lunch on-campus and 120 minutes for off-campus lunch. A typical French school lunch is prepared with fresh ingredients, the table is set with linens and students are encouraged to engage in conversation while dining. This is the complete opposite of U.S. school lunch standards, where students are allowed 30 minutes total to eat lunch. This 30 minutes includes 10-12 minutes waiting in line, and the remainder to silently inhale processed foods. In China, school children actually assist in the preparation/serving of the food. Time is allotted for going to the cafeteria and loading up big bowls of the days servings; bringing it to their classrooms; dividing up duties (set the table, some serve the first course-soup, while others serve the second and third courses; all children are on the clean-up committee). They are allowed two hours to accomplish these tasks. College students don’t generally a “lunch break”. They eat on the run, standing at print kiosks, under the stairs or wherever. However, a trend is happening in universities across the nation. Higher education institutions are vying for on-campus cafeteria bragging rights. Many top governing bodies in higher education have begun to realize the criteria of a college selection goes beyond academia and social clubs. 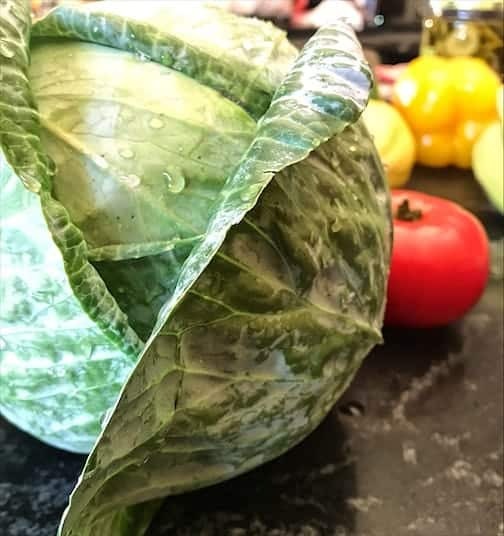 Food quality, variety, and sustainability have become a ‘new’ criterion in the college selection process, and the authorities are taking notice. Colleges and universities are scrambling to find the best and brightest contractors and designers who can build the most beautiful, ergonomically designed dining areas, and chefs who can offer the most healthy, versatile, local and international menus to students at a reasonable price. With millions graduating and entering the workforce each year, it is hopeful this ‘new’ criterion for college will parlay into the workforce as graduates are considering job opportunities. Thus, food quality may become an integral consideration in the cycle of education and job selections. Some employers promote healthy eating and lifestyles through corporate wellness programs that offer lectures, exercise and dietary support. Many of these incentives often result in financial discounts in the form of insurance. In recent years, more savvy employers have acknowledged the impact of employee happiness and productivity are results of the food their employees consume white at work. As a result, gourmet kitchens are popping up in corporate America, luring prospective employees with offers of on-site, moderately priced, organic, or non-GMO options. In many of these corporate kitchens are daily staple items such as egg white omelets, oatmeal, brown rice, black beans, fish, vegan and vegetarian dishes, vegetable soup and fully-loaded salad bars. If the average worker: spends 60 hours per week at work and consumes the majority of calories away from home (which includes office breakfasts, aka ‘empty calories’ — Danish, doughnut and muffins), participates in the “working lunch” of a sandwich tray, chips and a cookie, it’s no wonder the American workforce is mentally and physically fatigued, stressed, lethargic and overweight. It’s a fact, the body cannot perform at its peak without ample nutrition. The body needs, on a regular basis, certain vitamins, nutrients, minerals, amino acids, antioxidants and more to develop, metabolize, maintain and grow. The central and peripheral nervous systems, in conjunction with the endocrine system, require certain elements in order to function properly. These systems are responsible for regulating and maintaining homeostasis, as well as regulating autonomic and somatic functions. Neither a sandwich, chicken nugget, burger, nor slice of pizza will provide the required essential nutrients, but a daily cup of vegetable soup a day is definitely a step in the right direction. 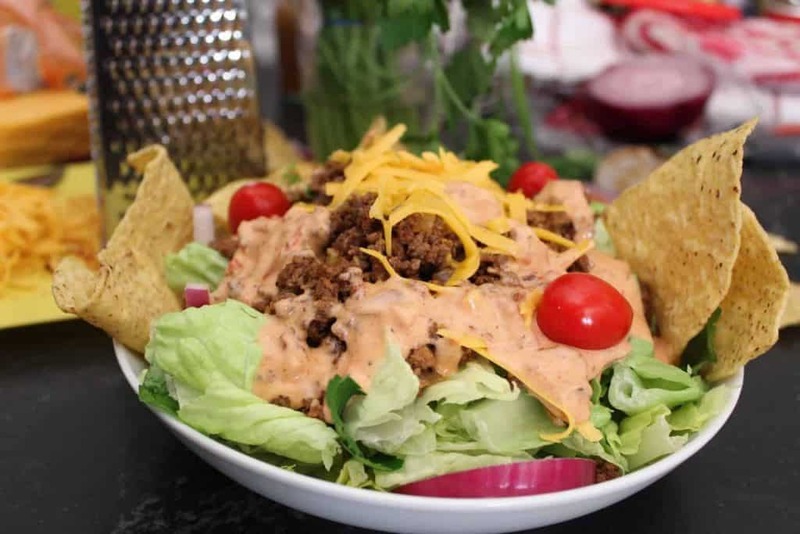 This recipe can be prepared in less than an hour and stored in the refrigerator for up to five days. (Note: if greens are added, they will begin to disintegrate; the color of the soup will change, but it will still be safe to eat). 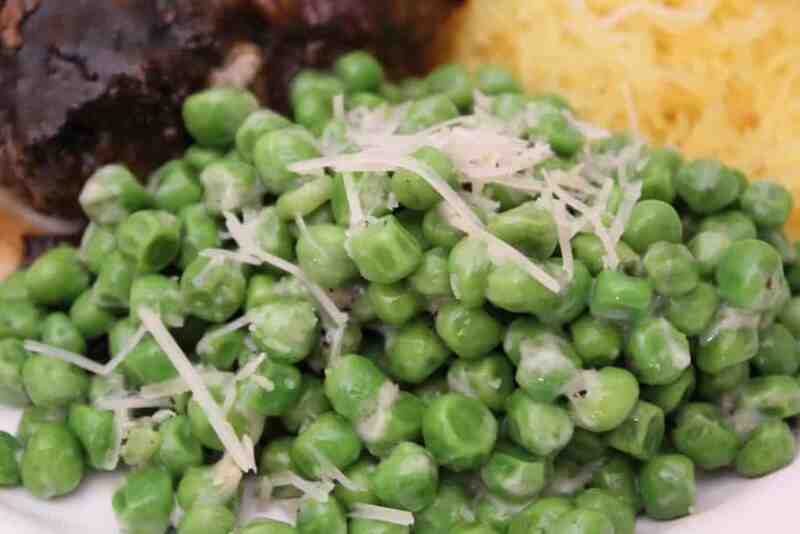 Organic, frozen vegetables are recommended due to their high nutrient retention during minimal processing. 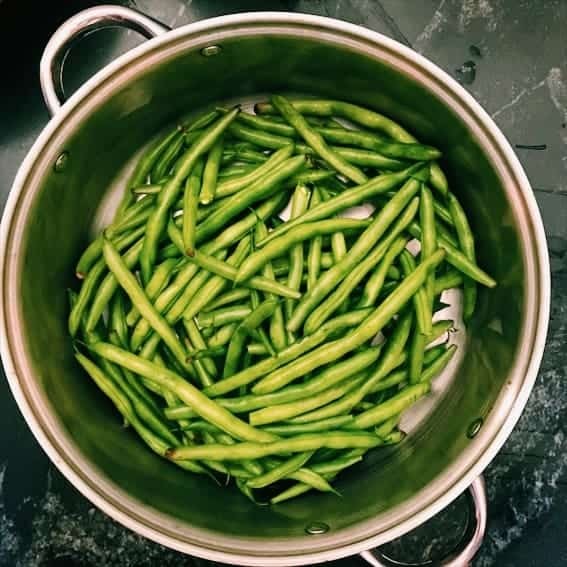 A full spectrum of vitamins, minerals, nutrients and fiber are provided through the inclusion of carrots, baby lima and green beans, sweet peas, celery, onions and crushed tomatoes. 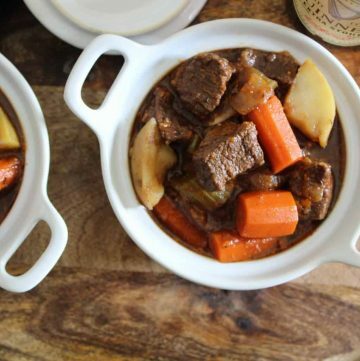 Keep a big batch of vegetable soup on hand. Each day, put some in a thermal cup, and throw it in your bag before you head out the door. This will ensure you have an ample amount of nutrients at your fingertips. Have another “working lunch”? Don’t be forced to consume processed foods—bring your own cup of vitamins and nutrients. Pop that cup in the microwave and enjoy the meeting. 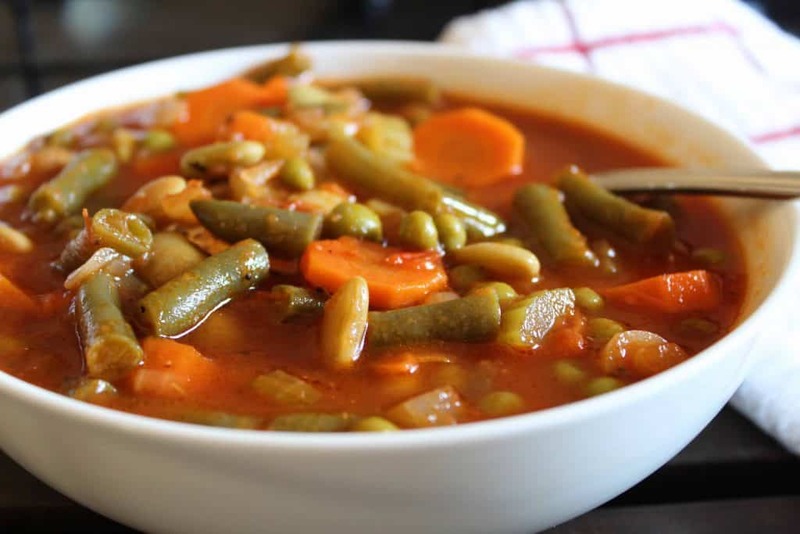 A cup of vegetable soup will discourage binge or over-eating and give the body and brain the nutritional power necessary to keep up with a busy lifestyle. Your body will thank you. Your waistline will thank you. Your blood pressure will thank you. It’s a win-win situation. 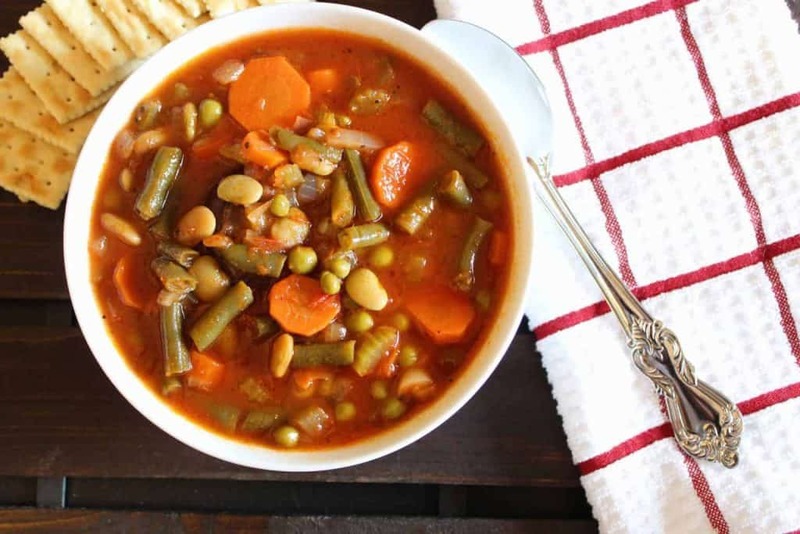 Homemade vegetable soup is easy to make and is healthy, satisfying and delicious! Vegetable soup can include other vegetables as well: fresh cabbage, turnips, rutabagas, zucchini or summer squash. 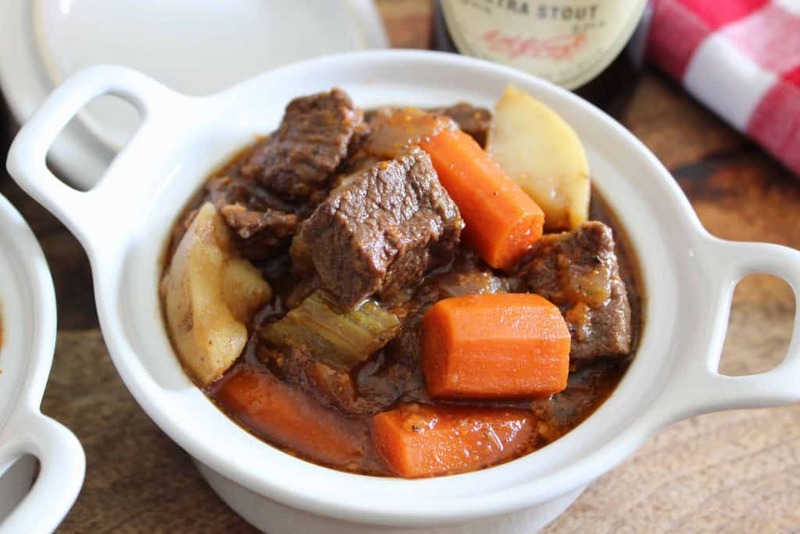 If you include a root vegetable (turnips, rutabagas, potatoes), add them to the stock pot at the beginning, when you saute the onions and carrots because they tend to cook longer. If you add root vegetables, you might need to add more water as these vegetables tend to absorb liquid. Looking for additional grains? 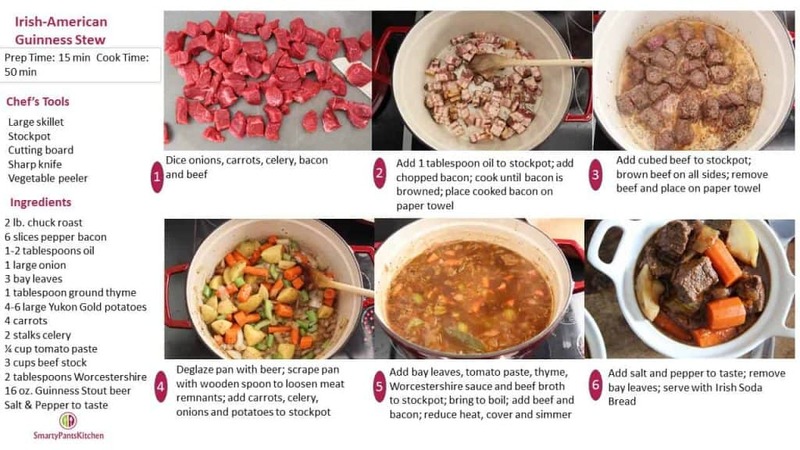 Add barley, brown or white rice, or macaroni noodles to your vegetable soup! As with root vegetables, grains tend to absorb liquid, so you'll need to add more water or broth. 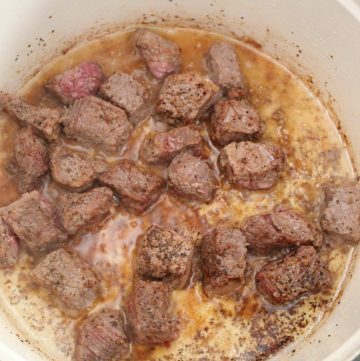 If you add a grain, add it after you've added the liquid; bring it to a hard boil for 10 minutes, add remaining ingredients, and check the liquid level regularly. Make a skillet Cornbread to go with your soup! that consists of a richly seasoned chicken broth and dough dumplings. 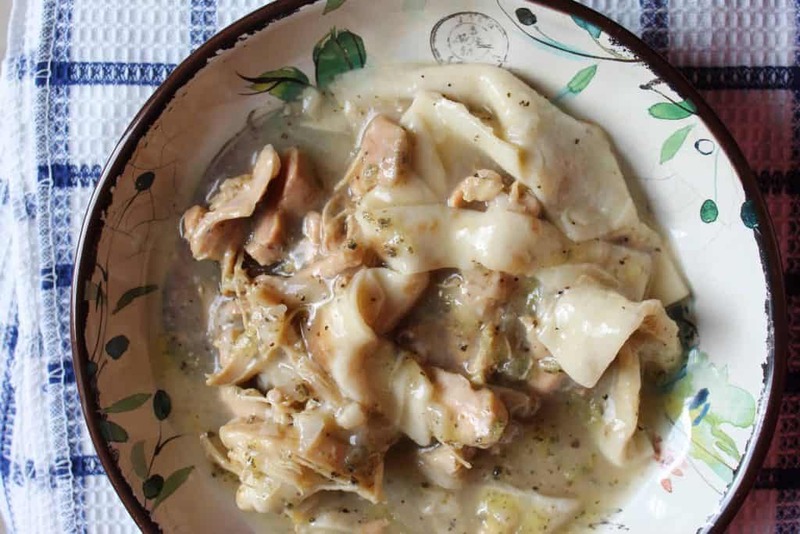 Chicken and dumpling recipes vary across the board from being creamy thick, with peas, carrots and celery to thinner versions with seasoned broth and chicken. 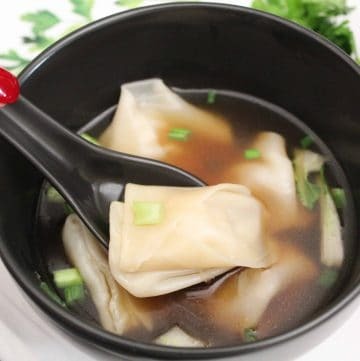 I’ve found the dumplings thicken the soup enough for my palate, so this recipe is a “thin” version of this deliciously comforting food. 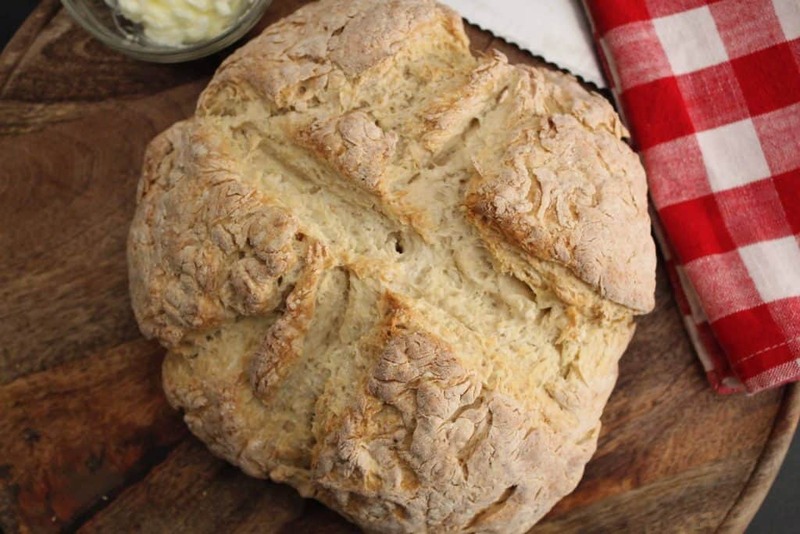 In simple terms, it is a combination of flour, fat and water that is placed in a boiling liquid and cooked. 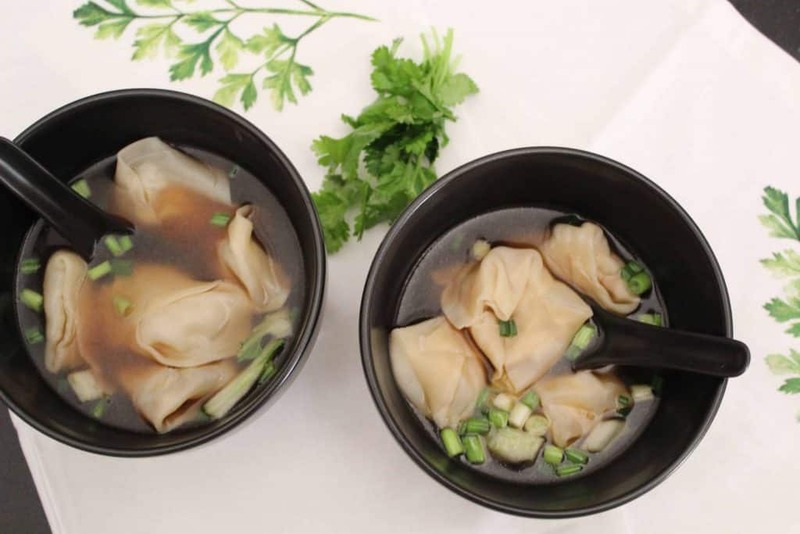 Now, there are many types of dumplings–stuffed and un-stuffed. 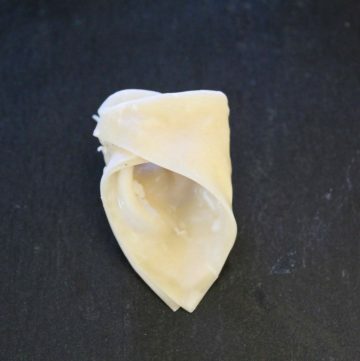 However, the Southern version of a dumpling is a doughy-texture–almost like a biscuit, if you will. 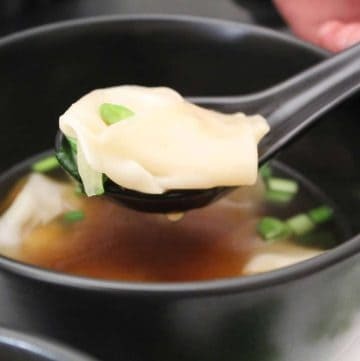 Random types of dumplings exist in every culture and region in the world. 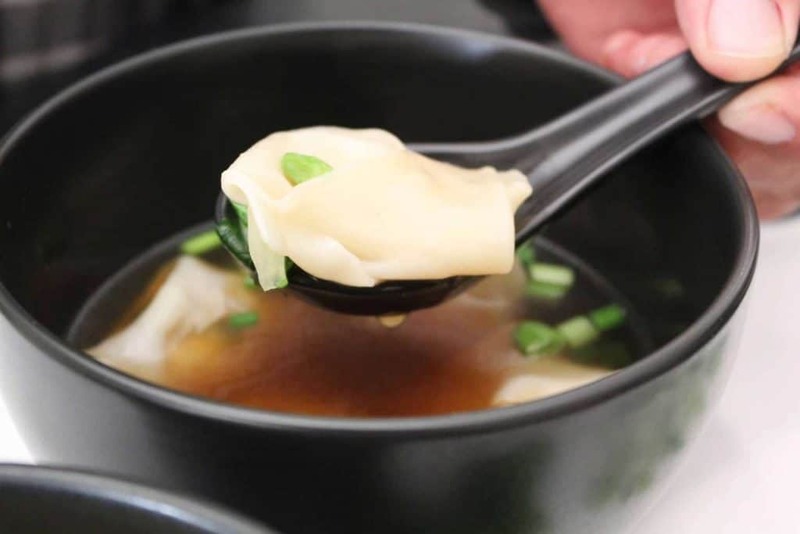 There are Chinese dumplings, Matzo balls, Gnocchi, Ravioli and more…in any case, because this recipe does not require making dumplings, it is a lickety-split time saver and tastes like you’ve been cooking all day! Do I Use Dark or White Chicken? You can use either, or both! Dark chicken meat (thighs and wings) tends to have a more robust flavor than breast meat. I generally use boneless, skinless chicken thighs for this recipe. They cook quick and they’re inexpensive! 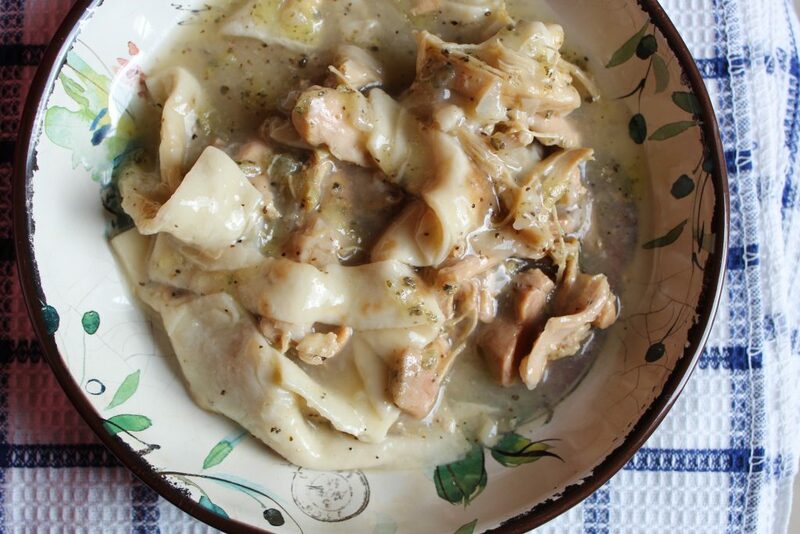 How Should I Cook the Chicken for Chicken and Dumplings? There are a couple of ways to prepare the chicken for this dish. It depends on if you’re going to use homemade chicken broth or canned. If you elect to make your own broth then you would: 1) Boil the chicken in water with salt, pepper, marjoram, garlic powder, celery and/or carrots. 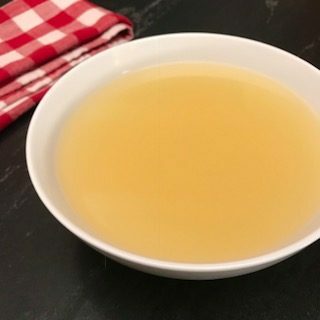 Once the chicken is cooked thoroughly, remove it from the broth; strain off the solids in the broth, shred the chicken and add it back into the broth. If you elect to use canned broth, you can either bake the chicken or cook it on the stove top. I find the stove top method much quicker and easier. Season the chicken thighs with salt, pepper, marjoram and garlic powder. In a heavy bottom skillet, bring about 1/2 cup oil to medium heat; add the chicken breasts to the skillet; cover and allow to cook for 6 minutes on one side; flip the thigh and continue to cook till they reach an internal temperature of 165ºF. Remove cooked chicken from skillet; place on cutting board and, using two forks, shred the chicken (simultaneously pulling the chicken apart using both forks.) 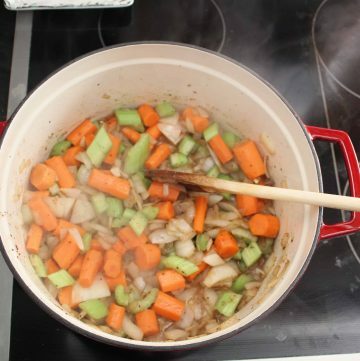 In a large stock pot, add a little oil and saute onions and celery until tender; add the cooked chicken to the stockpot; cover with chicken broth. 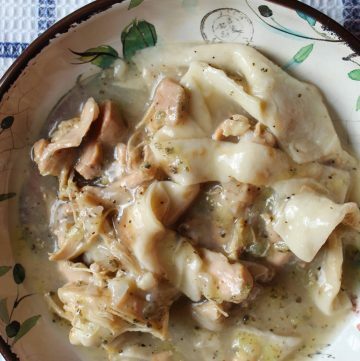 How Do I Make the Dumplings for Chicken and Dumplings? You don’t! 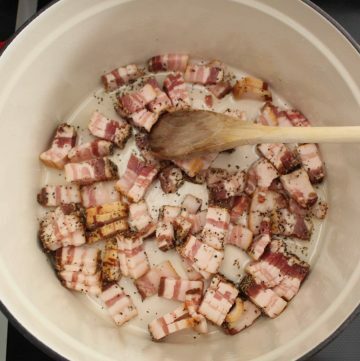 That’s the beauty and secret of this tasty recipe…my Grandmother taught me this hack years ago and it works! 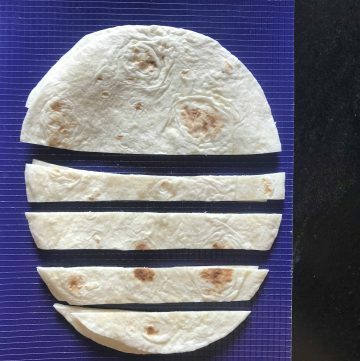 You bring the soup to a rolling boil an add sliced flour tortillas. Yep! 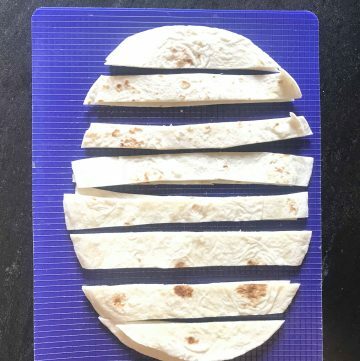 Usually 6 flour tortillas, cut into strips is enough. 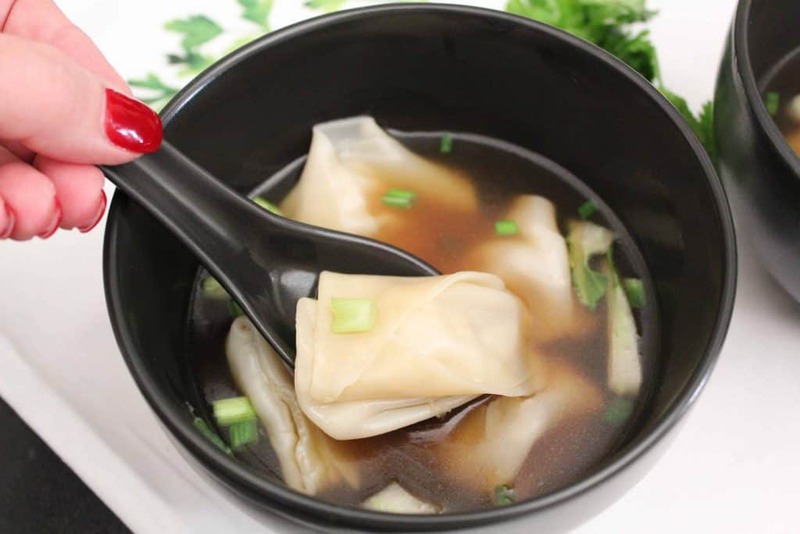 Allow the “dumplings” to cook at a rolling boil for about 5 minutes, then turn down the heat to low, cover and let simmer for 10 minutes. 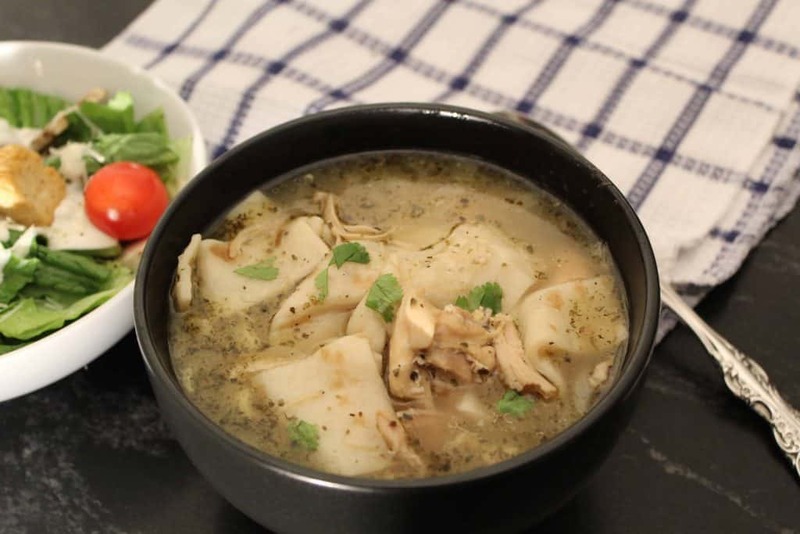 This easy Chicken and Dumpling recipe tastes like you’ve been cooking all day long! Southern comfort at its finest! 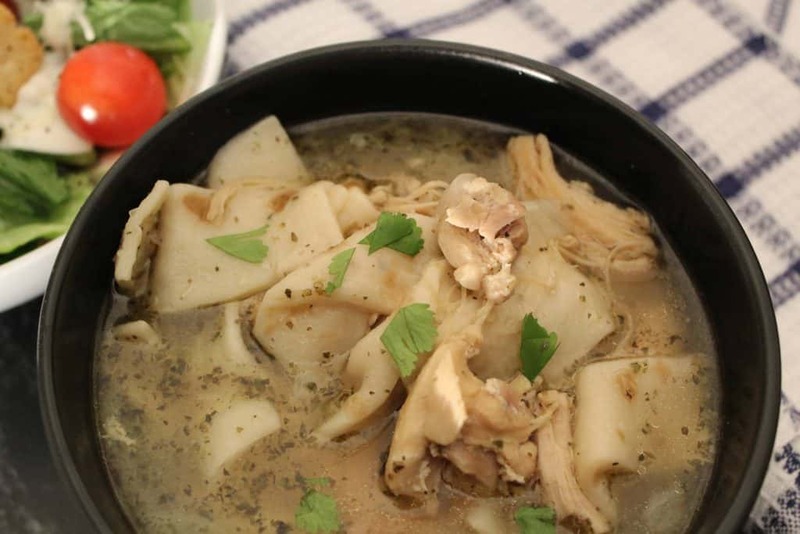 Savory chicken broth with tender noodles and chicken!